Czars were the monarchs of Russia; they reigned for centuries until the 1917 Russian Revolution. These men and women made their mark on the region with reforms and conquests, built important architectural monuments still standing today, and are interesting subjects of study in their own right. Their legacies provide context for understanding modern Russia. Ivan the Terrible was a medieval hero and a victorious opponent of the Tatars, whose conquests had shaken Europe for centuries. Though others had used the title czar before Ivan the Terrible, he was the first to be designated "Czar of All Russia." He reigned from 1533 to 1584. More formidable than terrible, this czar is the subject of legends that tell of his authority and fierceness. Visitors to Russia see evidence of Ivan the Terrible's reign on Red Square and within the Kremlin walls. One of Russia's symbols, St. Basil's Cathedral, was built by Ivan the Terrible to commemorate his capture of Kazan and Astrakhan, two Tatar states. Within the Kremlin walls, the Annunciation Cathedral bears Ivan the Terrible's mark: This church had a special porch added specially for the czar when he was barred from entering after he married his fourth wife. Boris Godunov is known as one of Russia's greatest czars. He wasn't noble by birth, and so his rise in status and power reflected his leadership qualities and ambition. Godunov reigned as regent after the death of Ivan the Terrible from 1587 to 1598 and was then elected czar after the passing of Ivan's son and heir; he reigned from 1598 to 1605. A physical legacy of Godunov's reign is evident in the Kremlin's Ivan the Great Bell Tower. He ordered its height to be increased and for no other buildings in Moscow to surpass it. Godunov is immortalized in a play by Alexander Pushkin and an opera by Modest Mussorgsky. Peter the Great's objectives and reforms changed the course of Russian history. This Russian emperor, who was the sovereign of all Russia from 1696 to 1725, set as his task the modernization and westernization of Russia. He built St. Petersburg out of swampland, created the table of ranks for civil servants, changed Russia's calendar, established Russia's navy and expanded Russia's borders. The Russian Empire is no more, but Peter the Great lives on. If it weren't for Pyotr Velikiy, as he is known in the Russian language, the great city of St. Petersburg wouldn't exist. 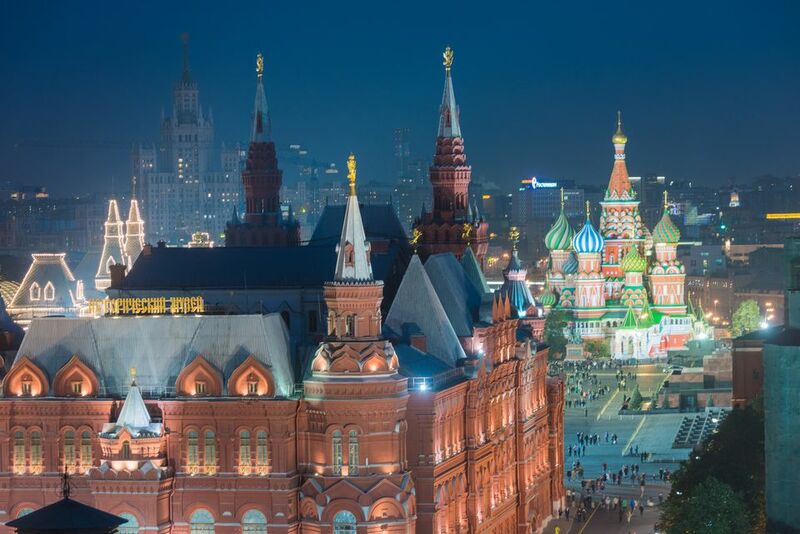 Russia's “window to the West” was designated the capital by Peter the Great, and culture and society flourished there, just as it had in Russia's original capital of Moscow. Visitors to St. Petersburg can also see one of Peter's greatest palatial creations, Peterhof. The beauty of this palace rivals any in Western Europe. It attracts droves of visitors every summer who marvel at its golden fountains and interiors rich with luxury. Catherine the Great is one of the most famous Russian rulers, but she wasn't Russian at all. Born in Prussia, Catherine married into Russian royalty and staged a coup to overthrow her husband and take over the reign of the Russian Empire. During her rule from 1762 to 1796, she expanded the empire and sought to further modernize Russia so it would be recognized as a major European power. Catherine led an interesting personal life, and her reputation for taking on lovers is infamous. Her chosen favorites sometimes acted as her advisers, sometimes as her playthings. They were generously compensated for their associations with her and became famous in their own right. One of Catherine's most storied additions to the Petersburgian landscape is the Bronze Horseman statue. It depicts Peter the Great on horseback and took on new meaning with Alexander Pushkin's poem of the same name. Nicholas II was Russia's last czar and emperor. The head of the Romanov family, he became czar in 1894 and abdicated the throne in March 1917 under pressure from the Bolsheviks, who had overthrown the government in 1917. He and his immediate family -- his wife, four daughters and his son and heir -- were transported to Yekaterinburg, where they were executed in July 1918. Nicholas II was known as a weak ruler and one who grudgingly ascended the throne. Widespread and increasing unrest among his subjects before his arrest made him unpopular. His wife, Alexandra, a German princess and also the granddaughter of Britain's Queen Victoria, was unpopular as well; she acclimated poorly to Russia and was the subject of rumors that she was a spy for Germany. When Rasputin, a mystic, insinuated himself into Nicholas and Alexandra's life, the royal couple faced rising criticism. The assassination of Nicholas II and his family signaled the end of the Russian monarchy. In conjunction with the Bolshevik Revolution, it ushered in a new era for Russia, nearby countries and the world.